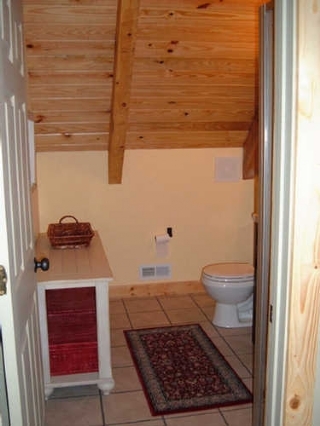 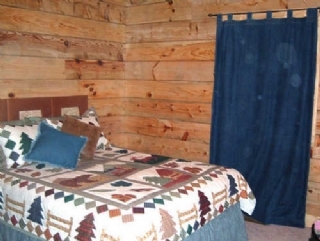 Just up the hill from a trout stocked mountain stream, this wonderful log home features sleeping for up to 8. 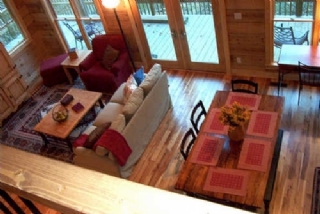 With great skiing at Wolf Laurel just 15 minutes away, the skiers in your group will be thrilled. 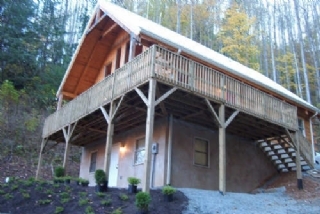 And Asheville's great shopping and restaurants are just 25 minutes away. 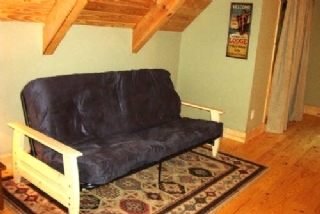 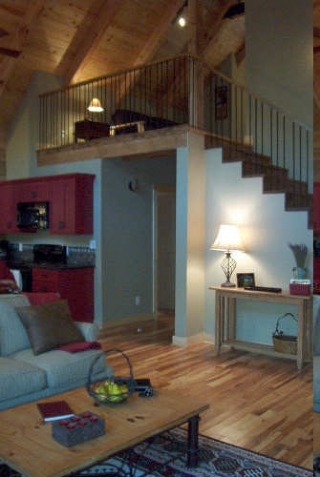 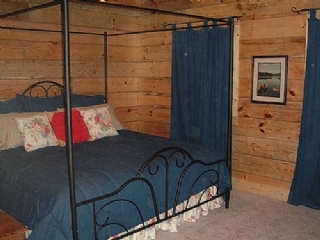 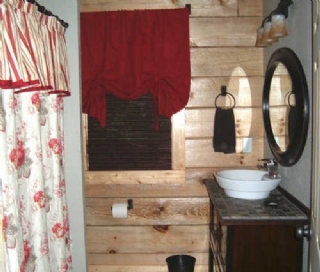 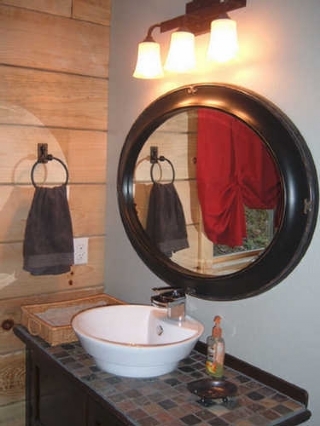 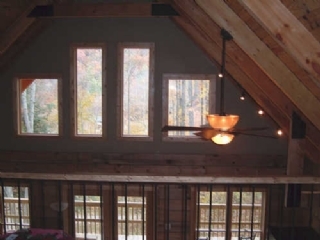 A king bedroom, queen bedroom, huge loft with alcoved double bed and futon in the living area with its own full walk-in shower and bathroom make this beautifully constructed log home a wonderful family retreat in the Smoky Mountains. 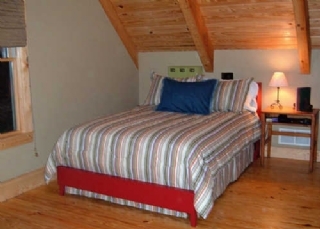 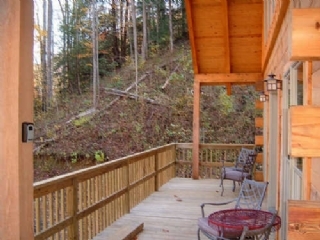 In addition, if your group is larger you can also reserve Little Creekside Log Cabin which sleeps 5, just down the hill. 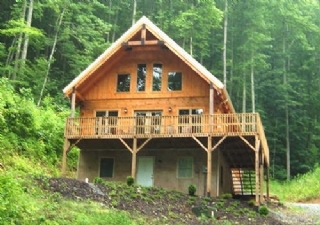 BRING YOUR FISHING RODS for the ultimate luxury mountain lodge vacation! 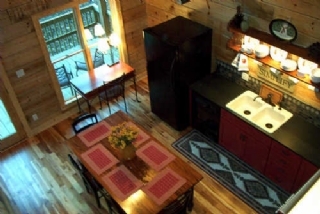 What a perfect family retreat in the beautiful countryside of Madison County just minutes from the lovely college town of Mars Hill, 15 minutes from WOLF LAUREL SKI Resort and 25 minutes from downtown Asheville, NC. 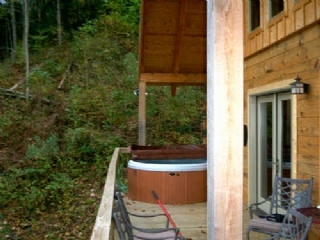 The huge wrap-around deck offers close-range mountain views while relaxing in the HOT TUB and the comforting sound of your own mountain stream. 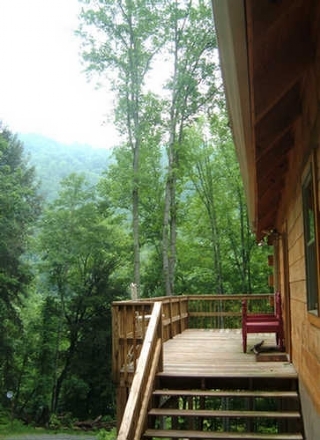 On the property you have a hiking trail to take up to the ridge for those in your group who are adventuresome. 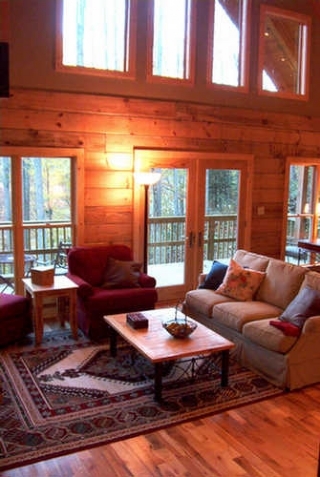 Or spend the day "doing" Asheville's historic castle The Biltmore Estate, visiting downtown Asheville's award winning restaurants and shopping in the art galleries, specialty and vintage stores, and many antique malls. 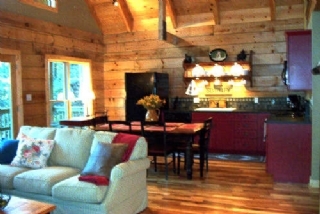 Relax in this idyllic setting with cows grazing - peaking at the glorious mountains in the distance. 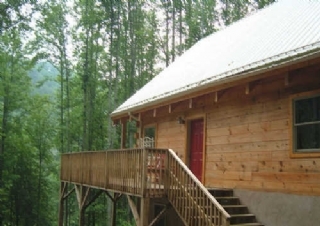 Head to Hot Springs for hiking, rafting down the river or just rejuvenating in the hot springs.